Whirlpool has revised its procedures for co-ordinating contractors’ work after a fire alarm engineer died when he fell from a work platform. Dalley was standing on an elevating mobile platform between two of the carriage baskets suspended from the conveyor. Maintenance workers could not see Dalley from the conveyor’s control panel in the middle of the factory. They started the conveyor and one of the carriage baskets caught on the platform, toppling it. Dalley fell to the ground, sustaining fatal injuries. Maintenance was covered by a risk assessment and Dalley’s work on the fire alarm was subject to a permit to work but both were inadequate. The risk assessment recognised the potential for interfering tasks, “but in this case the assessment didn’t identify the conflicting tasks on the day”. The permit did not specify the location of Dalley’s work. There was no effective means of communication between site management, supervisors, operators and the contractor. 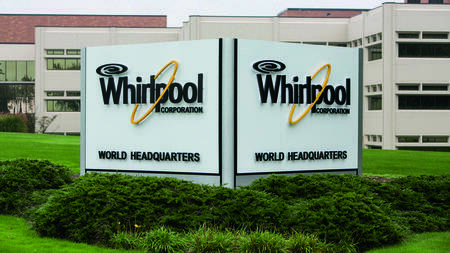 Whirlpool has since overhauled its procedures for managing contractors, work at height and use of elevating platforms. It now requires potentially conflicting tasks to be identified after a first meeting between a contractor and site management. The company has now formalised the meetings of site staff before weekend overtime takes place. “Details of any contractor activity must be submitted before that meeting takes place,” said Tyler. At Bristol Crown Court Whirlpool UK Appliances admitted breaching s 3(1) of the Health and Safety at Work Act. The judge set the starting point for the fine at £1.2m but reduced the penalty to reflect factors in the company’s favour (see box). “The judge said they had every mitigating factor that was relevant,” Tyler said. In addition to the final penalty of £700,000 the company was ordered to pay costs of £11,466.